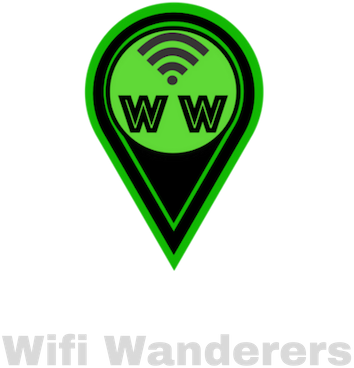 At Wifi Wanderers we respect the privacy of all our visitors to our website www.wiffiwanderers.com and any Landing pages or ‘opt in’ pages associated with Wifi Wanderers.This policy is concerned with how we collect information, what we do with it and what controls you have over your personal information. Wifi Wanderers is what’s known as the ‘controller’ of the personal information you provide to us. We will usually collect basic personal information about you like your name, postal address, telephone number, email address and your payment details if you are purchasing from us. Wifi Wanderers also processes your information when it is in our legitimate interests to do this and when these interests do not override your rights. Those legitimate interests include providing you with information on our products, campaigns, services, products, newsletter requests, feedback, competitions and other activities. Please see the section on ‘Legitimate Interest’ for more information. If you would like to change the way you hear from us or no longer wish to receive direct marketing communications from then please email support@wifiwanderers.com or click the ‘unsubscribe’ link in our emails. Please read the information we have provided in the ‘Legitimate Interest’ Policy for more detailed information. Scroll further down to read our 'Legitimate Interest' Policy. If you decide not to support Wifi Wanderers any more or request that we have no further contact with you, we will keep some basic information in order to avoid sending you unwanted materials in the future and to ensure that we don’t accidentally duplicate information. If you wish to raise a complaint on how we have handled your personal information, you can contact our data protection officer who will investigate the matter. If you are not satisfied with our response or believe we are not processing your personal information in accordance with the law you can complain to the Fundraising Regulator or the Information Commissioner’s Office (ICO). This means that we have the potential to use your personal information if we have a genuine and legitimate reason and we are not harming any of your rights and interests. So, what does this mean? When you provide your personal details to us we may use your information to help you understand more about what we do as an organisation. Before doing this, though, we will also carefully consider and balance any potential impact on you and your rights. Direct Marketing: We will send postal marketing which further the aims and objectives of Wifi Wanderers. We will also make sure our postal marketing is relevant for you, tailored to your interests. Remember, you can change the way you hear from us or withdraw your permission for us to process your personal details at any time by emailing us . This document was last updated November 2018.